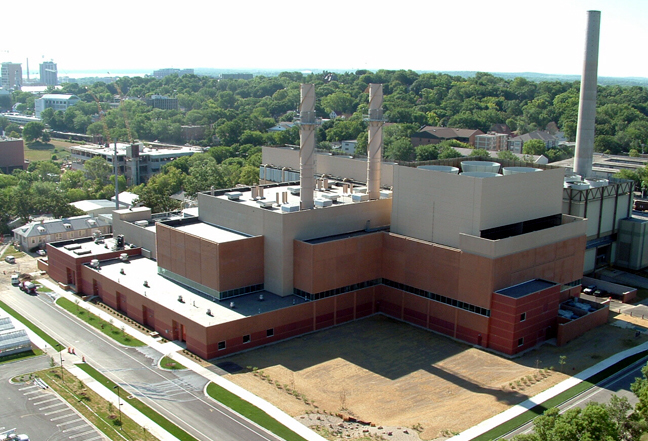 Potter Lawson was selected to do massing and shadow studies, and design the exterior of MG&E’s Cogeneration Facility on the UW Madison campus. 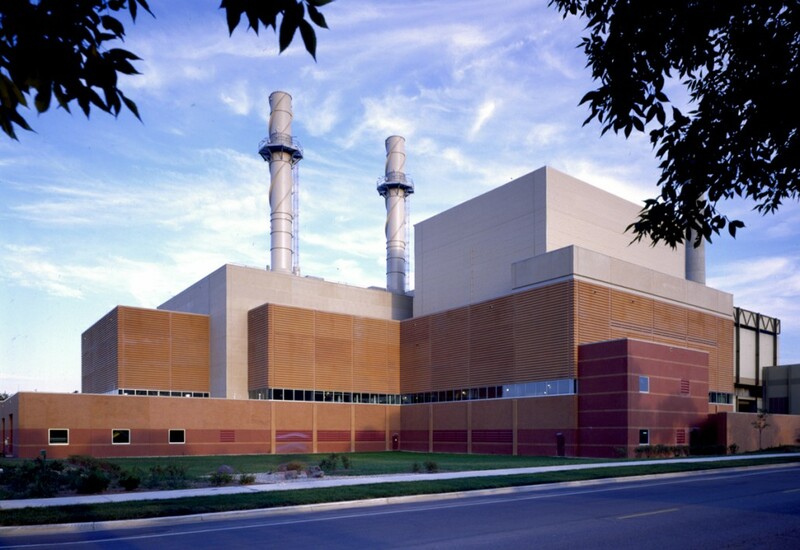 The $190 million natural gas-powered plant, one of the most efficient in the Midwest, was developed by MG&E and is co-owned by the utility and the University. The plant is designed to generate up to 150 megawatts of electricity, while at the same time producing steam for heating and chilled water for air conditioning of campus buildings. The efficiencies come from capturing the heat from the gas-fired combustion turbines and re-using it. The plant has an overall net efficiency of 70%, compared to 30 to 35% for a typical electrical facility. Potter Lawson was also recently part of the design team for the 43,000 sf addition to the facility that added two 5,000 ton chillers and the associated equipment and systems to this location.